#DeMarcusCousins | Bring Your "A" Game Sports Talk! 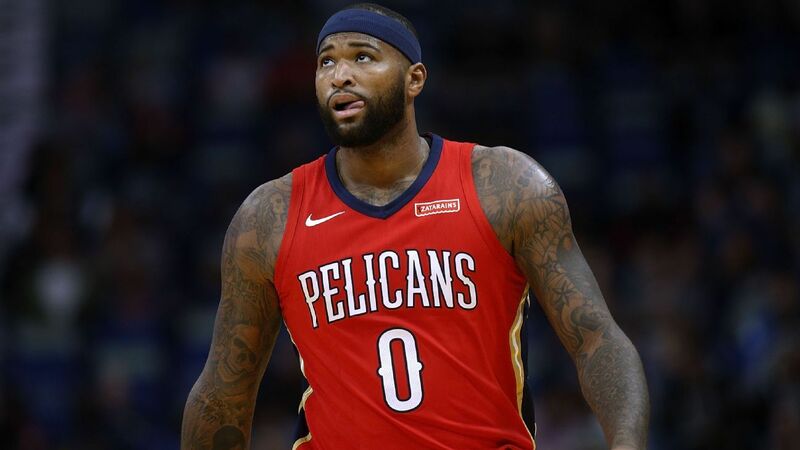 For the first time since his injury three months ago, New Orleans Pelicans forward DeMarcus Cousins spoke about his season-ending injury, his recovery and the Pelicans’ historic sweep of the Portland Trail Blazers in the opening round of the playoffs. Cousins’ season ended Jan. 26 when he ruptured his left Achilles late in the fourth quarter against the Houston Rockets. Since the injury and a subsequent surgery, Cousins has rehabbed in Los Angeles and Las Vegas and recently rejoined the Pelicans for Games 3 and 4 against the Blazers in New Orleans — his first trip to Louisiana since the injury. The Pelicans lost five of the six games immediately following Cousins’ injury before finishing the regular season 21-13 in the 34 games Cousins missed. “I mean, that could’ve easily sucked the life out of the team,” Cousins told Fox Sports New Orleans. “You know, they gathered themselves after a couple of games and got everything back on track. I couldn’t be happier for this team. As for his rehab, it’s going much faster than expected, he said. Cousins, who has posted progress updates on his rehab via his social media platforms since the recovery process began, was walking free of crutches the past week, donning just a walking boot around the injured left ankle.